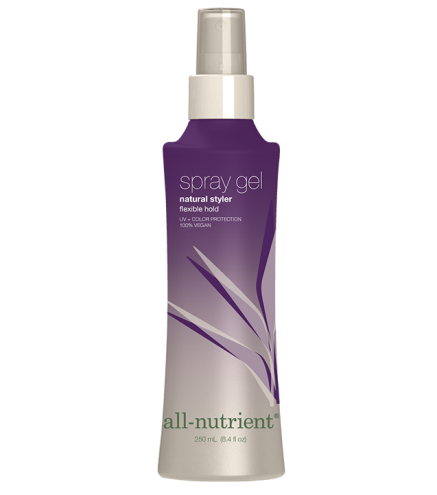 Spray Gel is a lightweight styler, designed to impart body and hold without the usual stiffness associated with most gels. And unlike most spray gels that contain alcohol or some other drying agent that adversely affects the hair's condition, this aqueous-based system is much healthier for the hair, especially color-treated hair. Babassu Oil eliminates flaking, dryness and buildup. Memory Plus Technology allows perfect shape retention regardless of the weather or level of humidity.